As downtown Boston continues to evolve into an increasingly vibrant location for firms, it is understandable how corporate users might lose sight of the value and advantages that the suburban office market offers. And for some companies, especially technology firms appealing to the millennial generation, those urban locations may be essential for attracting and retaining top talent. But for corporate real estate executives considering a relocation to the city, there are a number of factors that should be taken into account before pulling up stakes and making the move into the city. One of the obvious advantages to locating a company in the suburbs versus Boston is the price of real estate. As the Boston vacancy rates decrease due to the strengthening economy, rental rates continue to escalate. The average asking rent surpassed $50 per square foot in Boston in 2014, with prime tower space fetching over $80 psf. Even Class B space in the Seaport and Financial District has crept into the mid-forties range. In contrast, the premier space in the suburbs’ hottest market, Waltham, has just edged over the forty dollar mark, with Class A space along the 128 Corridor from Needham to Woburn still available in the mid-thirties. Further out on 128 (North and South), and along 495 as well as Routes 2 and 3, Class A space can be leased for rents in the high teens to mid-twenties, with tenants still able to strike favorable deals with landlords. A number of firms are taking advantage of the reduced suburban rental rates to accommodate their growth while holding down fixed costs. Startup cloud software firm Yottaa is a prime example, recently announcing a move from Boston to Waltham as the company triples it space from 5,000 to 15,000 square feet. 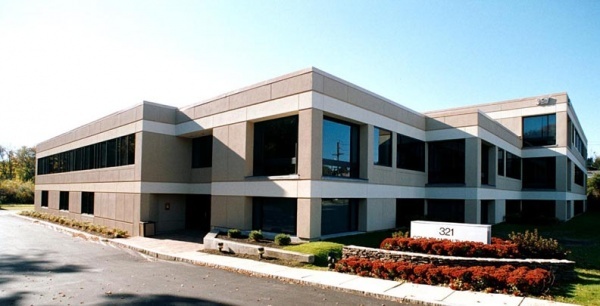 GE Healthcare’s relocation of its US HQ from New Jersey to tax-friendly Marlborough exemplifies the case of a large user (160,000 square feet) capitalizing on a landlord’s willingness to accommodate a tenant in order to fill space at a newly acquired property purchased at a discount. With the new construction now underway on the Mass Pike, an already difficult commute into Boston has worsened considerably. Framingham residents traveling to South Station, for instance, currently experience a 90 minute commute each way during peak driving hours for the 22 mile trip. For those who choose to take the commuter rail, a monthly pass for the two hour (roundtrip) daily commute from Framingham to South Station is $265 per month, with a $4 per day parking fee at the rail station. While the traffic on 128 and 495 and the secondary routes can experience minor delays, those commutes pale in comparison to the conditions on the Pike. And commuters doing the reverse commute, taking the Mass Pikeaway from Boston – either from the city or another suburban location along the route – rarely experience significant delays. Parking in Boston ranges from a low of $15 per day in the Seaport to $38 per day in the Financial District. Most suburban office parks and buildings offer free parking for their employees and visitors. As appealing as the Boston skyline can be for companies seeking office space, firms should consider the impact that such a move can have on their bottom line as well the lives of their employees in terms of cost and commute times. For a comprehensive overview of the suburban office market options, visit R.W Holmes Realty at our website or contact us directly at (508) 655-5626. After a year of Big Gains for ‘Boros Office Market, what does 2015 have in store?